The 2019 Camaro roars back at the Ford Mustang. 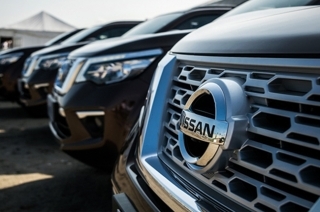 The Covenant Car Company, Inc. (TCCCI) has been firming up its roster to appeal to the Philippine market even more and put up a good fight against its competitors. 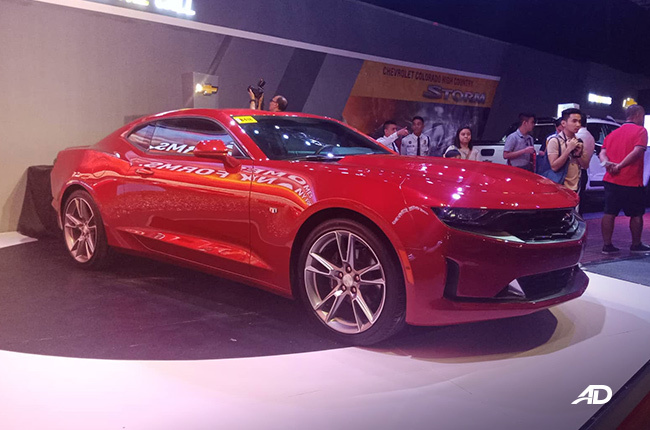 To give you a recap, last 2018, the bowtie brand released the all-new turbocharged Malibu midsize sedan at the Manila International Auto Show (MIAS), followed by its legendary Corvette Stingray sports car. If you think the hype stops there, the American brand drops another bomb to make things more exciting again with the comeback of its iconic muscle car, the 2019 Camaro. With the return of this legend, Chevrolet has made sure that it’s perfectly packaged with a bolder look, advanced technologies, and exceptional performance. 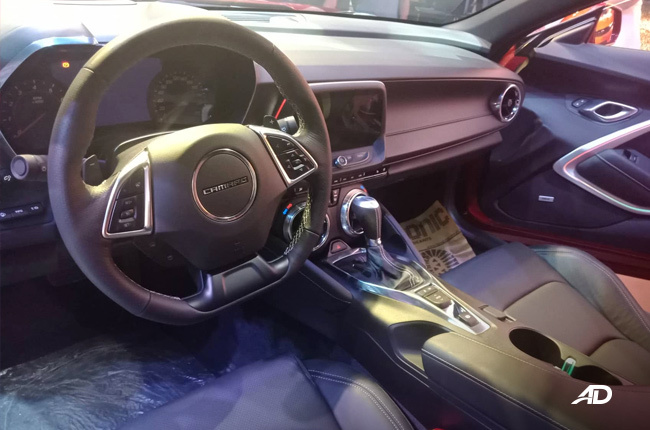 First off, the 2019 Camaro has adopted a chiseled hood, sharp headlamps and taillights, as well as an RS badge placed at the right side of its black-painted grille, making an intimidating impression. The RS package shows off the supercar’s sporty stance with its 20-inch machined wheels, LED tail lamps, decklid spoiler, complemented by a honeycomb grille, Camaro sill plates, and blacked out front and rear bowtie emblems. Opening its doors, you will be welcomed by the icon’s refined cockpit, all thanks to its leather-clad flat-bottom steering wheel, black leather, interior panel, dashboard, and console. For a comfortable drive, there are driver sport bucket seats that come with eight-way power adjust with cooling and heating functions, while the passenger gets a six-way power adjust. Numerous toys can also be seen inside this beast such as an 8-inch touchscreen display, integrated with 9-speaker Bose sound system that features the American brand’s latest MyLink infotainment system with both Android Auto and Apple CarPlay connectivity, keeping the passenger entertained during the thrilling ride. With this function, drivers can also have access information, entertainment, and phone connectivity without taking the hands off the steering wheel. 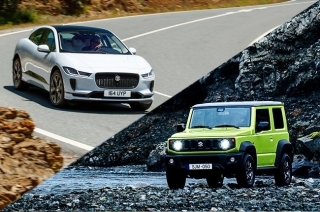 Other features also include a head-up display which is capable of projecting three different views and gives data near the driver’s line of sight on the windshield including turn-by-turn directions, audio information, fuel level, and gear selection. 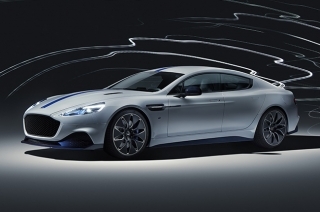 Inside the heart of this sports car is a 2.0L DOHC VVT turbo engine that can churn out 275 hp and 398 Nm of torque, connected to an 8-speed paddle-shift automatic transmission. This high-performance car is equipped with Brembo brakes that come with four-piston calipers for next-level braking power while retaining street drivability. As legendary as it is, the Camaro embraces a plethora of safety features such as StabiliTrak System, Anti-lock Braking System, Electronic Brakeforce Distribution (ABS), Lane Change Alert, as well as Side Blind Zone Alert, Rear Cross Traffic Alert, Tire Pressure Monitoring System, rear parking sensors, and built-in reverse camera. 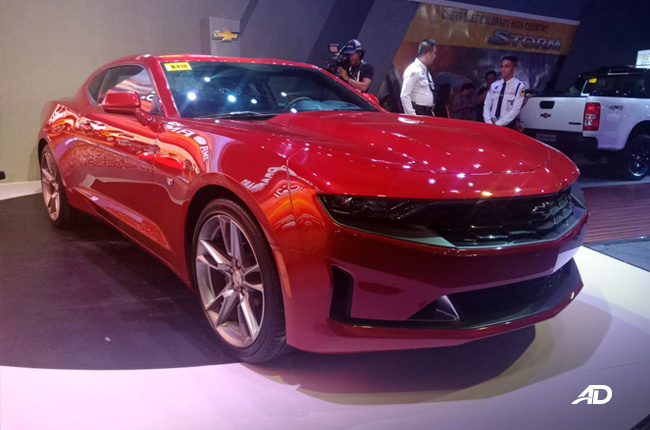 Of course, exceptional track performance and top-level aesthetics come at a price as the 2019 Camaro 2.0L Turbo 3LT RS is tagged at P3,298,888. With the awakening of this sharp-looking Camaro aiming to reclaim its throne in the muscle car segment, should the Ford Mustang be bothered? Let’s see. 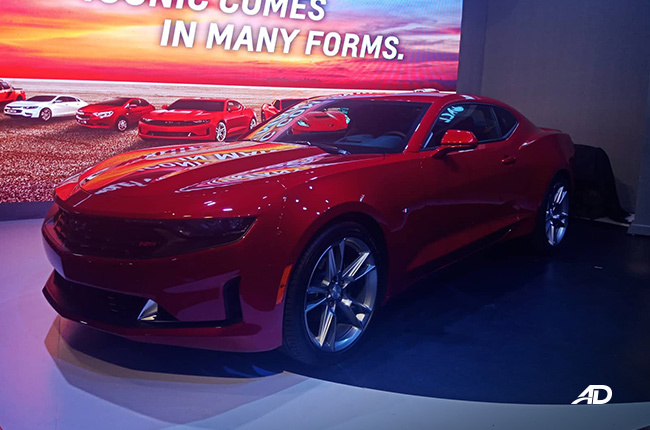 Check out the Chevrolet’s pony car in metal at the 2019 Manila International Auto Show (MIAS) until Sunday, April 7, 2019 at World Trade Center, Pasay City. Be sure not to miss this chance. Hi, I would like to receive a financing quote for the Chevrolet Camaro, thank you.